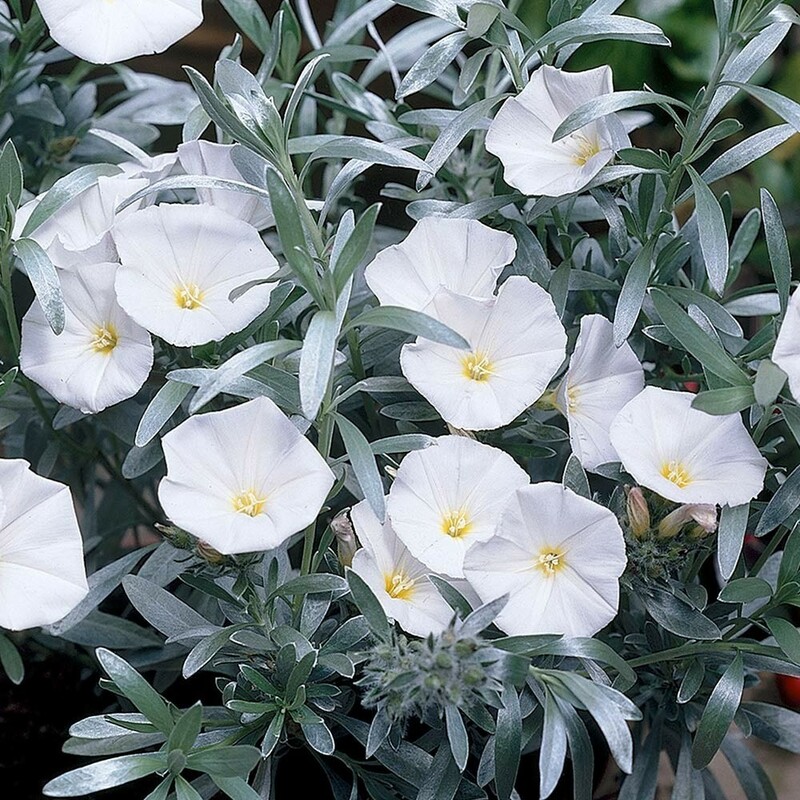 This hardy evergreen Convolvulus is a wonderful shrub with beautiful silvery foliage on display all year round. As an added bonus, cup-shaped, white flowers with pale yellow centres appear in several flushes from late spring in to the autumn. Perfect for problem dry areas, it will even be happy in a hot sunny well drained spot, where many other plants often fail to thrive. It is also a real asset in patio planters, and great in winter displays where it can be teamed with other plants such as heuchera. It also looks stunning cascading over a wall. 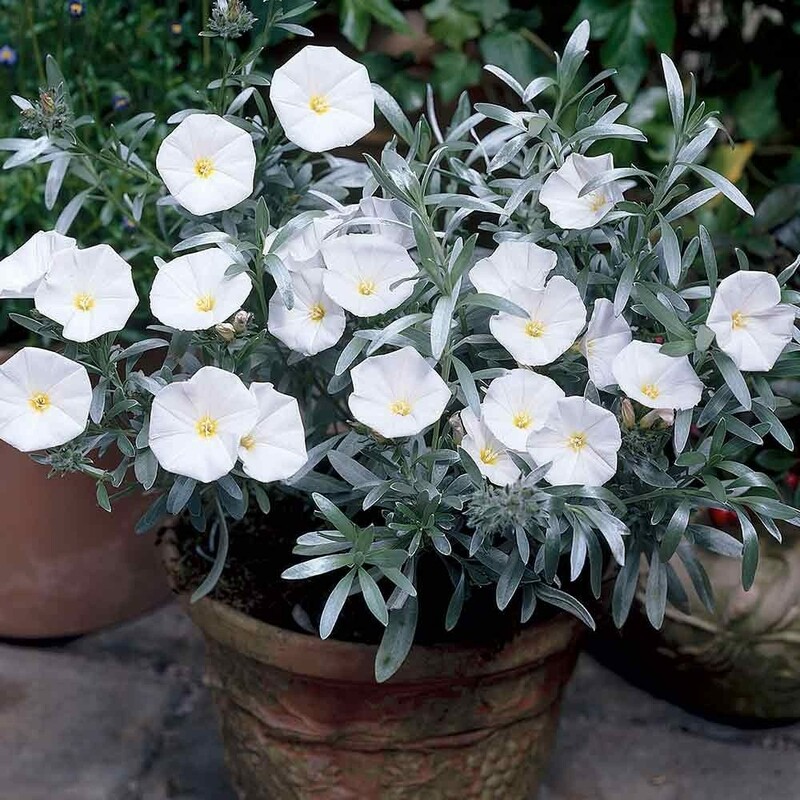 The bright silver foliage of this Convolvulus will contrast and work well with many other plants, and looks particularly good combined with blues and purples. Buy this low growing shrub today, and enjoy it all year, including throughout the winter. Supplied in approx 2-3 litre containers.